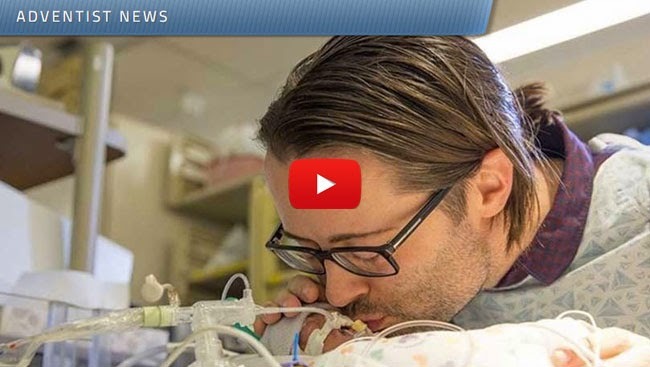 A heart warming video of a father singing the Beatle’s Blackbird to his baby in an incubator had made quite a stir in the hearts of the people as it had gathered more than 5 million views after being posted for two days. Chris Picco had unexpectedly lost his wife, Ashley, after she had undergone an emergency Caesarian Section to give birth to their first baby who was 6 weeks short to term. While Lennon was kept in an incubator in Loma Linda University Children's Hospital, he registered lack of brain activity which concerned the doctors and nurses. Remembering that his wife had told him that their baby responds to music, he asked permission to sing to his son. He asked for continuous prayers but his son away a few hours after his small private concert. Lennon James Picco went to sleep in his father’s arms but surely felt the love surrounded him. Picco said that Lennon was dressed with an outfit special picked by Ashley. He expressed his gratitude as he was given a chance to be with his little son even for a short time. For four precious days, he was able to meet and hold Lennon. A fundraising page was put up by Loma Linda University Church to help Picco with his expenses and they quickly reached and surpassed their goal. On November 15, the church held a service for his loved ones. According to Brett Wall, Picco’s spokesperson, he wanted to have the time to grieve privately with his family and friends.